Oligometastases refers to a state of a limited number of metastatic sites (usually 1-5), where there exists historical data on the value of resection of pulmonary or liver metastases as well as therapy directed at the primary tumour where there have been long term survivors without evidence of recurrent disease over many years in reasonable numbers of patients. Typical scenarios involved a limited number of liver or lung metastases in colorectal cancer and limited number of lung metastases in sarcomas. This older surgical data serves as a background that a sub-group of patients with limited metastatic disease that may well be curable does in fact exist. Recent clinicopathologic studies have correlated differential genetic signatures between diffusely metastatic or oligometastatic phenotypes in humans, thus establishing a biologic plausibility of this sub-group of metastatic patients. 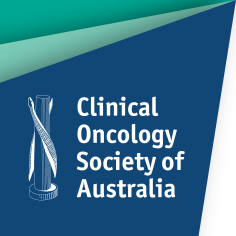 With the significant advances in the delivery of external beam radiotherapy (intracranial radiosurgery, IMRT, IGRT, SBRT/SABR) over the last 20 years, this has allowed the exploration of the use of radiotherapy in the setting of oligometastases for a larger group of patients who may not have been deemed surgically resectable in the past in addition to possibly replacing surgical resection in some instances. There is a growing literature demonstrating very high local control rates with the use of these new high dose/limited number of fractions for metastatic sites with local control rates ranging from 65% to 95% in various reports in various metastatic sites. Earlier clinical reports were retrospective in heterogeneous populations of patients, but more recent reports and ongoing studies are prospectively being done in more precisely defined patient populations. A survey of current data and ongoing trials and important future questions will be presented in this session. Dr. Laperriere is a staff member in the Department of Radiation Oncology and Head of clinical programs in Central Nervous System and Ocular Oncology, and Pediatric Radiation Oncology at Princess Margaret Cancer Centre in Toronto, Canada. He earned his medical degree from the University of Toronto in 1978 and completed his training in Radiation Oncology at Princess Margaret in 1984. He is a Fellow of the Royal College of Physicians and Surgeons of Canada, an Honorary Fellow of the Royal Australian and New Zealand College of Radiology and a Professor in the Department of Radiation Oncology, University of Toronto. His research interests have focused on new approaches in the management of patients with primary and secondary central nervous system and eye tumors in children and in adults.